Here are some additional resources on the topic you will find both beneficial and challenging. Click on the images below to download the PDF. 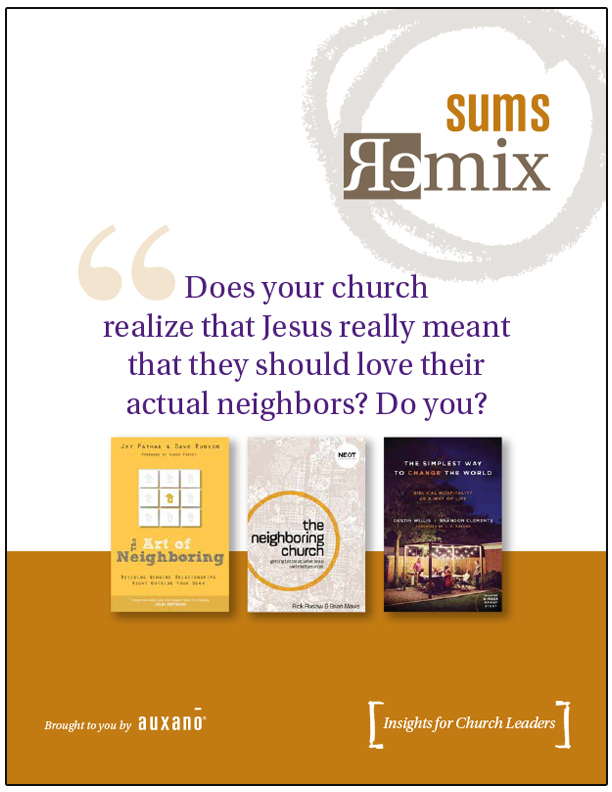 Below that, you'll find some very helpful next steps with SUMS Remix. 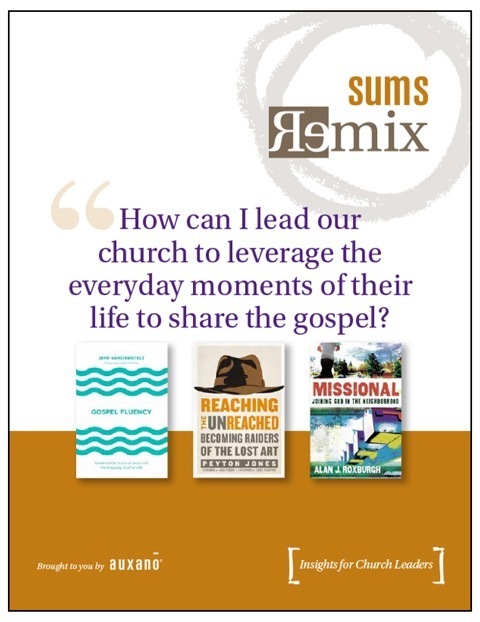 SUMS Remix is a book excerpt tool published by Auxano - every other week we provide, not ONE, but THREE book excerpts all focused around solving a practical church leadership problem. 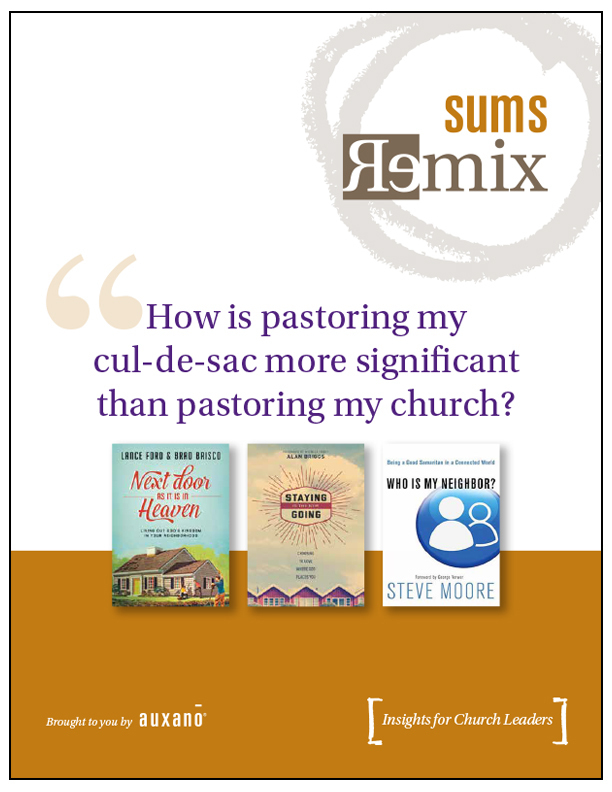 Since its launch, we have released 104 SUMS Remix issues, covering 311 book excerpts accompanied by specific Go Ahead actions designed for church leaders to put into immediate action. Future issues are being researched, written, and designed right now for you! Annual subscriptions to SUMS Remix are $48 per year. However, BSCNC participants can receive a 25% discount by using the code BSCNC2018 at checkout, and receive a one year subscription for $36. This offer expires 11/16/18.